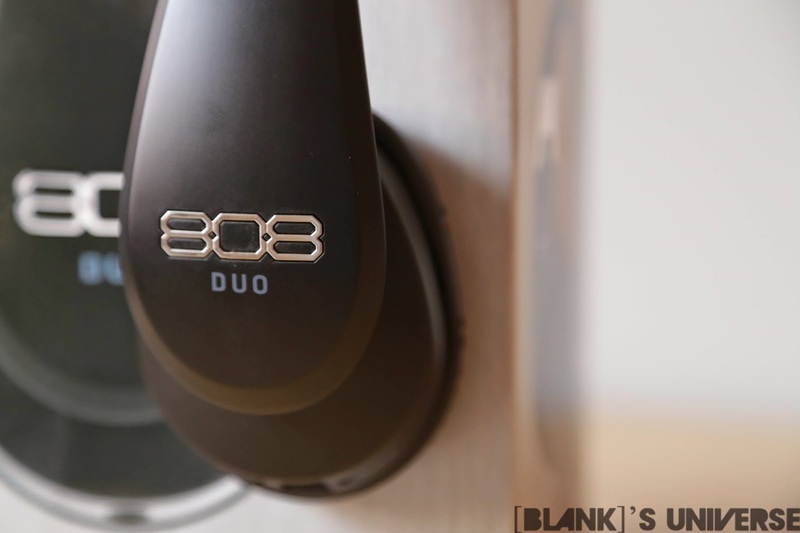 808 Audio, a relatively new division of Voxx Audio has released a wireless version of their on ear headphones called the Duo. The Duo sits on top as their top of the line flagship model. 808 promises studio quality sound from their products and they aren’t wrong. 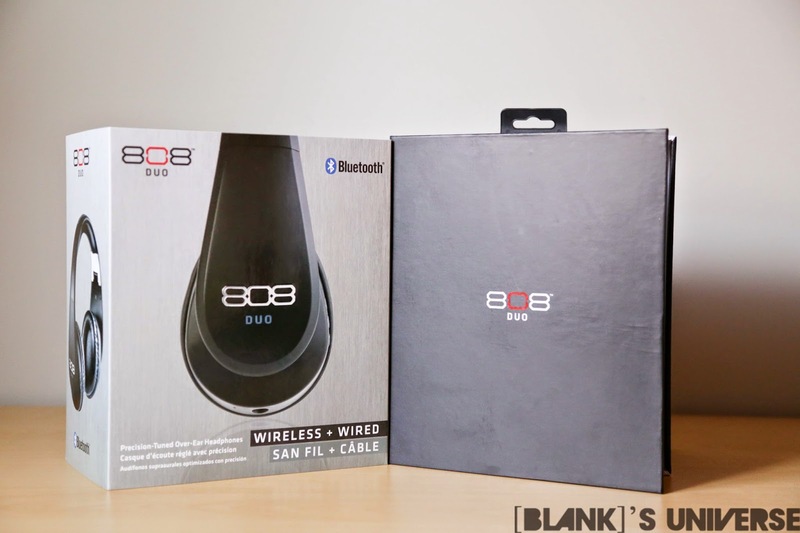 The 808 Audio Duo headphones come in a cardboard box with a slip cover and inside you find the headphones themselves protected with nice recyclable packaging. 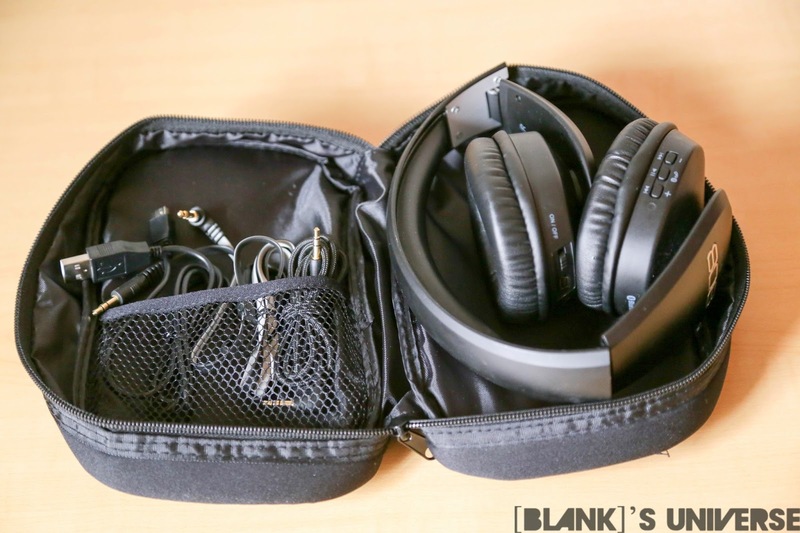 Under the headphones is a soft carrying case with pockets inside to hold the two included detachable 3.5mm cables and the mini USB charging cable. There is also a package of instructions inside. 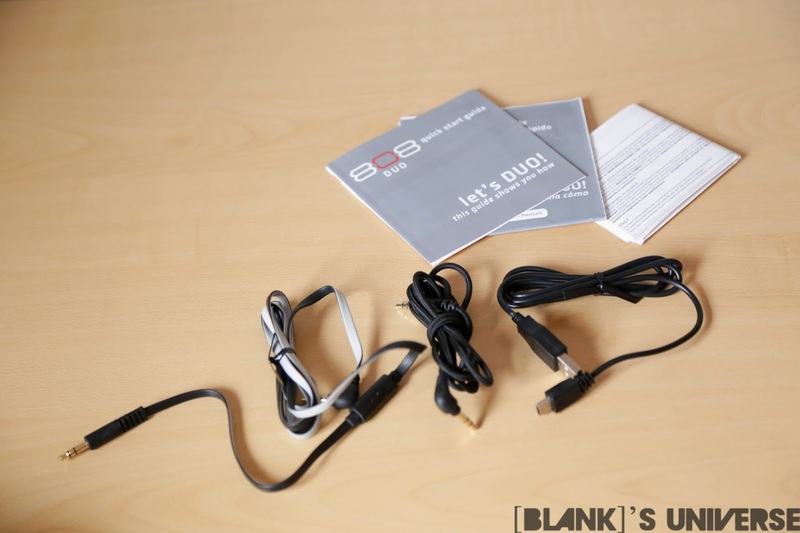 The Duos come with two different cables, one black braided cable which I found to be very short, and a flat anti-tangle black and grey cable with an inline mic and button. The two cables look significantly different from each other and I would have liked to see both cables with a similar design for consistency. The button on the in-line mic is very squishy and provides very little tactile feedback. Upon taking the headphones out of the box, you will notice they are very light, which made them feel cheap at first. Upon further inspection they are relatively well built with movable parts such as the hinge and the extending part of the headband made of metal instead of plastic. 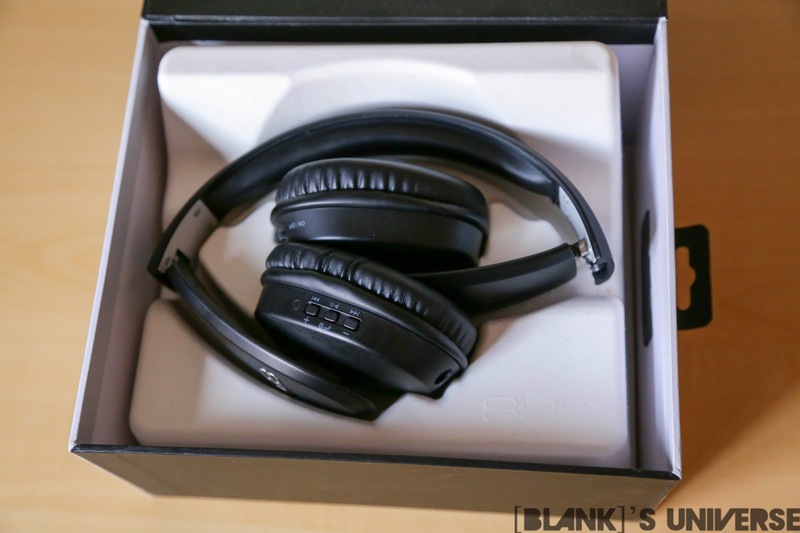 The headphones come in a matte black finish and is not available in any other colour. On the right ear cup is the on/off switch for the wireless bluetooth functionality, the mini USB charging port, and the charge indicator LED. On the left ear cup are three buttons which serve two different functions each. There is a volume up, phone, and volume down button which also serve as next track, play/pause, prev track buttons when held down. 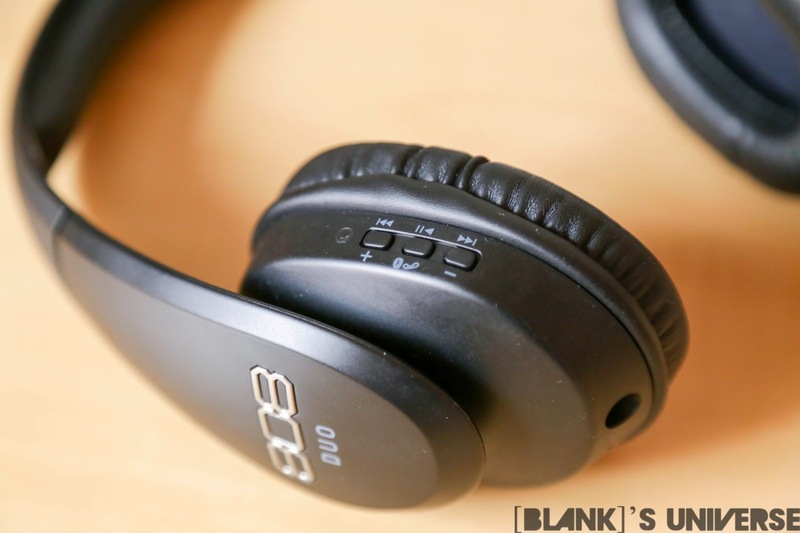 On the outside of the earcup is the 808 branding as well as the model name. 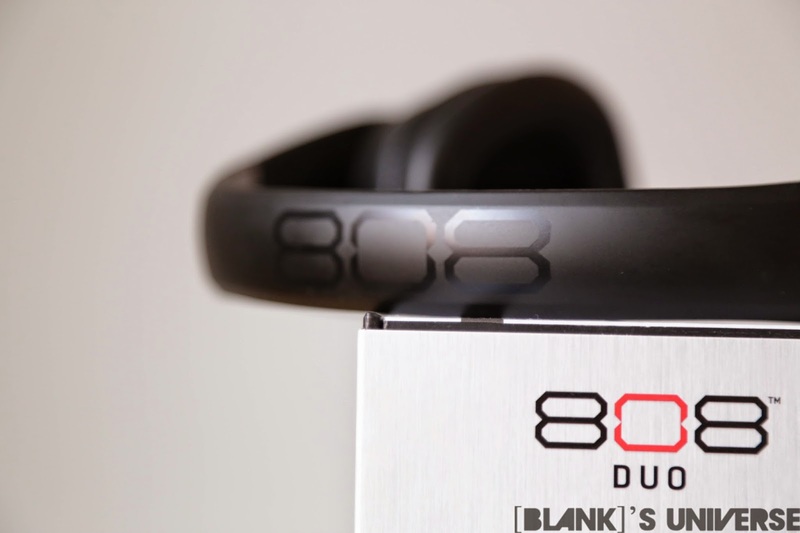 On the top of the headband is a very subtle black on black 808 logo which looks quite nice. The headband is very narrow with some soft padding which is more than sufficient for such a light pair of headphones and remains comfortable even after long periods of usage. The padding on the ear cups is also thick enough prevent the earcups from touching my ear and along with the ear cups ear cups provide a very comfortable fit. 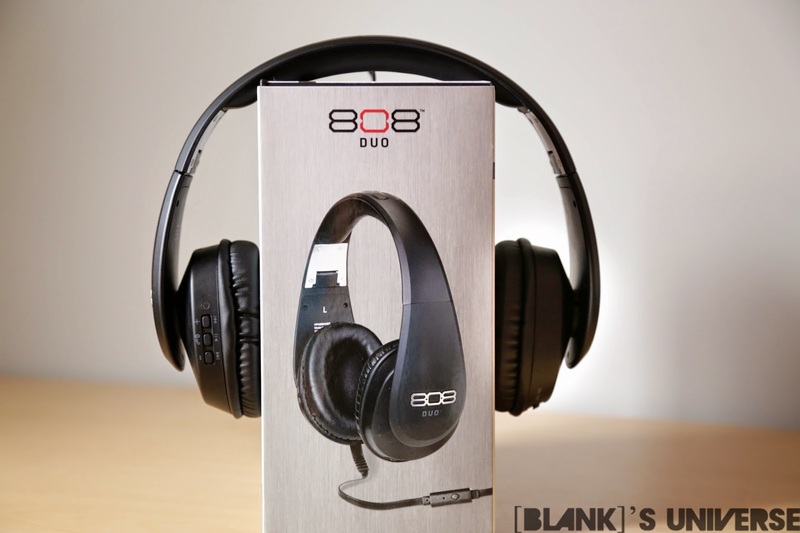 Normally I have to extend the headband of most headphones to their largest setting, but the smallest setting on the 808 Duo’s fit my head comfortably so these are great for people with huge heads but may feel a little large for people with smaller heads. I also found that the metal plate on the hinge caught some of my hair when I took off the headphones. 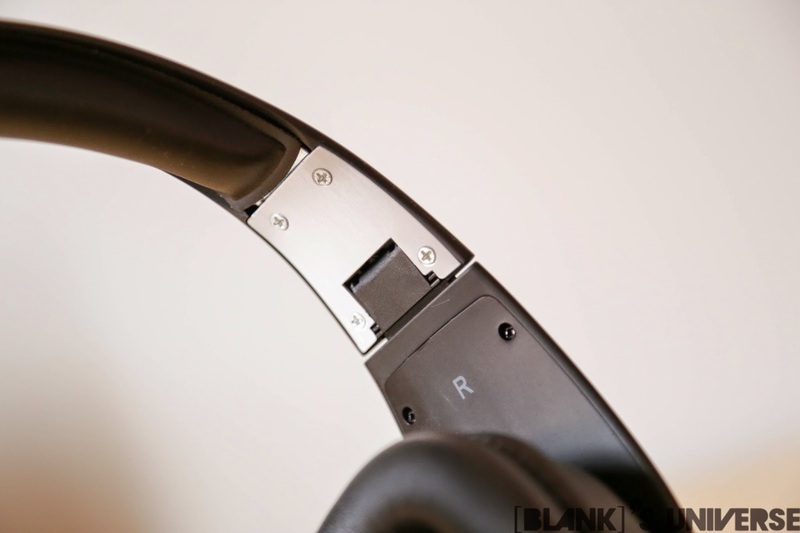 The hinges feel relatively solid and allow the headphones to fold up for traveling. 808 Audio claims that the battery will last up to 12 hours but I found the headphones to run out of power after 5 hours of listening. Bluetooth pairing is easy and there is a little bluetooth led on the top of the ear cup to indicate if bluetooth is on and if it is pairing. I did find that sometimes the bluetooth wouldn’t turn on even though it was fully charged until I plugged it into power again. As far as sound goes, the Duos sound great. They provide clean highs and mids which makes music very pleasing to listen to. Instruments sound extremely clear and have a strong presence while vocals pop thanks to the strong mids. The bass is subdued while still being punchy and deep. The bass is not overdone and over power the music like certain $300 headphones starting with a “B”. 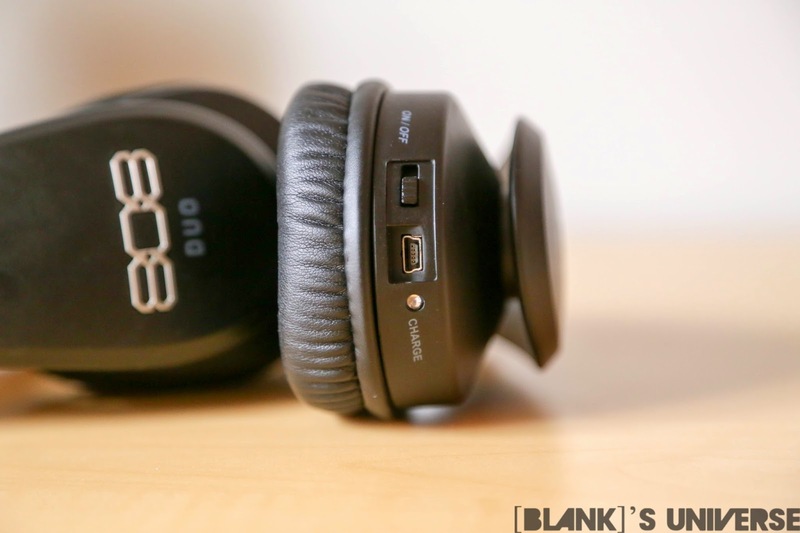 Music sounds extremely crisp and is a pleasure listening to with these headphones. Dont let the low price tag fool you into believing that these are not phenomenal headphones. As far as noise isolation goes they do a good job of lowering outside noise a little but they are in no way noise cancelling headphones so you will still hear people around you if they are loud as well as traffic if you are using them while outside. 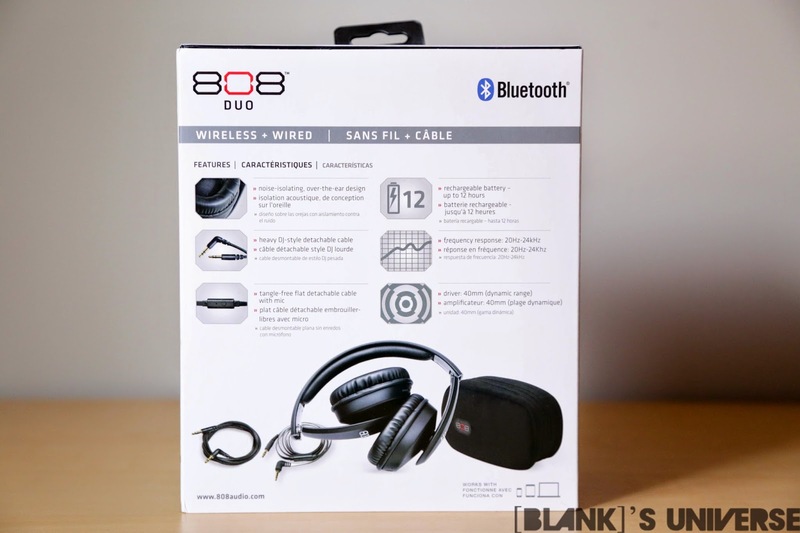 The 808 Audio Duo headphones are an extremely affordable and great sounding pair of headphones. They aren’t Audio-Technica ATH-M50s but they do provide a an extremely nice sound for their price. Not to mention the convenience of wireless headphones, as long as you can ignore the people who look at you funny because it looks like you forgot to plug in your headphones. 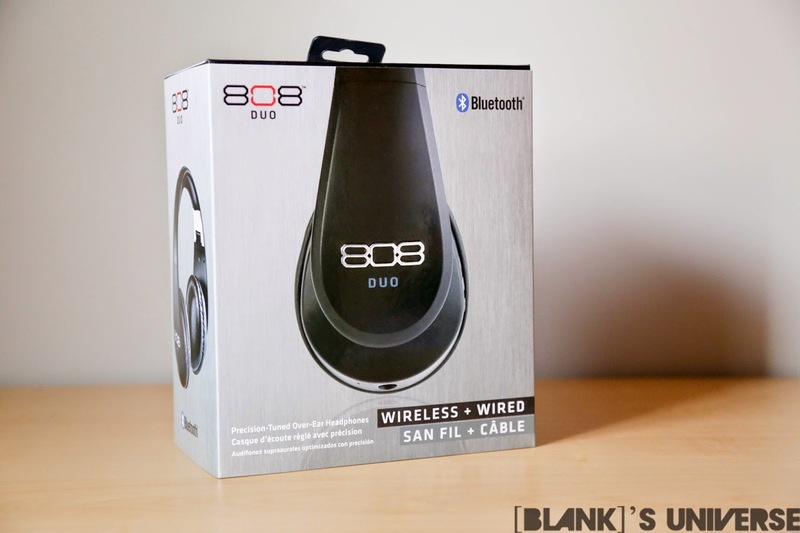 If you’re in the market for sub $100 headphones, look no further than the 808 Audio Duos.